Give encouragement to everyone to participate in football. 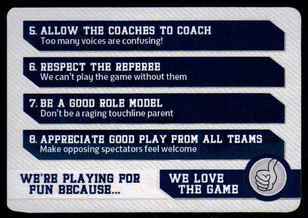 Warwick Juniors FC will ensure that parents/carers/spectators agree and adhere to the Code of Conduct and Child Protection Policy. ​©2015 Warwick Juniors Football Club. All Rights Reserved. As parents and carers of children that play football we have an important role to play. 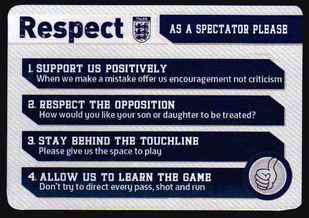 The FA recognises this and through its online totally free Soccer Parent course provides an insight into how we should all behave.